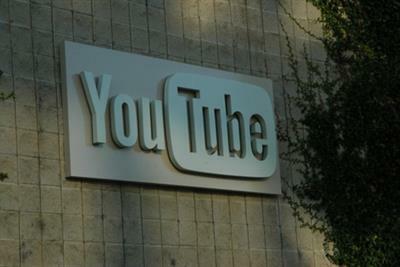 About 20 leading British advertisers, led by trade body ISBA, have met Google for hastily-convened talks about YouTube's brand safety crisis. One person who attended the meeting with Ronan Harris, the UK & Ireland managing director, described it as "constructive and challenging" – "it was a whites-of-the-eyes meeting". Phil Smith, director-general of ISBA, led the delegation of advertisers, which requested the talks at Google’s Central St Giles office on Friday with just a couple of days’ notice. It is believed most of the advertisers who attended were those that have been directly affected by the ongoing storm about ads appearing in front of extremist and other inappropriate content on YouTube. Dozens of UK advertisers have pulled their ads because of the crisis. One source said advertisers will give Google "breathing space" in a sign that the internet giant could need some time to reassure them that it is able to tighten up controls on brands safety. Advertisers are believed to have pushed Google over the issue of "pre-vetting" of content to ensure videos are checked before they are allowed to carry advertising. ISBA members are also keen for Google to tighten up how news and documentaries are classified to exclude extremist and inappropriate content. Both ISBA and Google are said to feel frustration about the media’s coverage because the row about brand safety has been running for a month and a half since The Times broke the story on 9 February, and YouTube has failed so far to get on top of it. ISBA said in a statement: "ISBA and a number of its member companies held a productive meeting with Google, at which Google expanded on its actions and plans to tighten policies, make default controls brand-safe and accelerate enforcement, to create the right environment to accept advertising. "The meeting is part of an ongoing dialogue between Google, ISBA and its members." A Google spokesman said it talks "regularly" with ISBA and advertisers and the meeting was a chance to have a "frank" discussion.